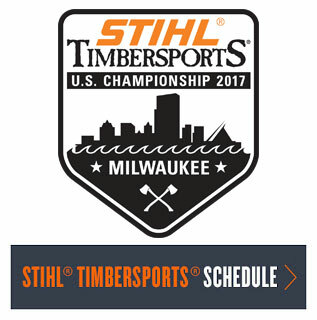 STIHL USA News: STIHL Trimmer Line. There is a difference. STIHL Trimmer Line. There is a difference. We put a lot of pride and precision engineering into our STIHL trimmers. But did you know that we also manufacture our own trimmer line? In fact, all STIHL trimmer line is made with pride in America at our state-of-the-art manufacturing facility in Virginia Beach, VA. With a custom blend of polymers, STIHL produces several types of trimmer line, each designed for a different type of cutting application. Why different types? Because not all cutting jobs are the same - we make different diameters and shapes of cutting line to accommodate the wide range of cutting scenarios you might find in your landscape. This high-performance trimmer line is manufactured to fit all STIHL and competitive line trimmer heads. It is available in .065, .080, .095, .105 and .130 diameters and is specially formulated to prevent fraying and welding. It's an excellent "multi-purpose" line, designed to hold up under a wide range of cutting conditions. We can help you choose the diameter that's right for your trimming needs. STIHL Quiet Line™ incorporates spiral grooves that greatly reduce wind noise. This trimmer line is primarily used with electric and battery-powered line trimmers, which operate much quieter than gasoline-powered models. Use this trimmer line when working on properties with noise restrictions. Heavy-duty work calls for heavy-duty line, and the STIHL commercial line meets the demands of the job and is specially formulated to help prevent fraying and welding. It delivers fast, efficient cuts time after time. It’s also durable, so professionals spend more time trimming and less time spooling. The edges of our square trimmer line allow it to cleanly slice through grass and heavy weeds. This line is great for professionals who have to tackle dense weeds on a daily basis. Our Pentagon Line combines the hard edges of square line with the abrasion durability and easy re-spooling of round line. The end result is great cutting performance in heavy weeds that holds up in tough conditions. Stubborn weeds are no match for a STIHL trimmer with X-shaped trimmer line. Designed for resistant vegetation, X-Line features a unique shape that grabs hold of grass and weeds and cuts them clean. X-Line is also flexible over time and resistant to welding and high temperatures. Great for homeowners and professionals alike. Quick Tip: When storing your line keep it out of direct sunlight. If becomes dried out or brittle, soak the spool it in a bucket of water overnight. It is always recommended to start each cutting season with fresh line. Note: Not all diameters are approved for all STIHL trimmers – please refer to your instruction manual to see what diameters of trimmer line are approved for your model of STIHL trimmer.